Montreal’s Tenzier states its aims plainly: “To preserve, celebrate and disseminate archival recordings by Quebec avant-garde artists.” From the jump-cut plunderphonics of Étienne O’Leary to the electroacoustic fever dreams of Gisèle Ricard, these anomalous offerings from the 1960s, ’70s and ’80s provide a fascinating glimpse into an unheralded history. Tenzier’s four LPs (to date) are not simply reissues, but instead sonic pearls scooped up from private collections and made available for the first time. Weird Canada spoke to Eric Fillion, the chief archivist of Quebec’s avant past. Jesse Locke: What inspired you to start this project with such a specific regional focus? Eric Fillion: I’m from Montreal, and have a clear attachment to Quebec. I’ve been playing music here for many, many years, and had the sense that there was a history that needed to be uncovered. Doing Tenzier is a way of allowing connections to be made. For each of the releases, I try to match an older musician with a current visual artist. For example, Sabrina Ratté did the artwork for the Gisèle Ricard LP, and Felix Morel did the collage for Bernard Gagnon. Match made in heaven there! The regional focus also allows me to meet the musicians, not just communicate by email or phone. Gisèle Ricard is in Quebec City, so it’s a short drive there to meet with her. Bernard Gagnon and former members of the Quatuor De Jazz Libre Du Québec are in Montreal. Lunch is always an option and we try to meet regularly. The human component of the project is huge, and it’s something I didn’t really understand at first or anticipate. The ability to work directly with these artists is something that I wouldn’t change. I’m also conducting doctoral research in history, and my interests deal with Quebec’s cultural production. The music I research for Tenzier is sort of out there compared to what I’m studying at a university level, but there’s still a connection. Ultimately, I think it would be great if other people did similar projects. 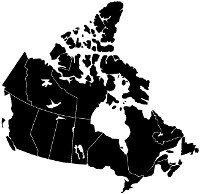 If 10 or 15 people in Canada wanted to set up labels or organizations to focus on their specific cities or provinces, you would get a much more complete history of avant or underground music. Maybe I’m dreaming here, but I think there’s a possibility to do this in other places. Montreal and Quebec have had a dynamic music scene for decades, but I know many other areas have that as well. Besides the artists’ location, what other criteria do you have for the music you choose to release? Tenzier’s releases are not reissues — they are archival recordings that have never been made available. I’m interested in voices from the margins, meaning artists that don’t really fit the dominant narratives about Quebec’s cultural production for the period I’m interested in: the ’60s, ’70s and ’80s. Often, it comes from people making experimental music that didn’t end up teaching in universities or refused, for one reason or another, to associate with the province’s key cultural institutions. As such, their contributions may have gone unnoticed or undocumented for the new generations to explore. One good example is Bernard Gagnon, who’s been active since the late 1960s. He had been involved in every major experimental or underground scene in Quebec, and contributed to several Musique Actuelle LPs, but never released a record under his own name. Going through his archives was great, because he had tons of reels. Gisèle Ricard had also been really active in Quebec City, but never released anything outside of the Capac 7”. Releasing records is only part of Tenzier’s mandate, though. I try to put out one LP each year, usually in the fall, but parallel to that I’m also collecting material – recordings, visuals, correspondence – when I can and slowly digitizing things for future releases or research purposes. At some point, I would love to turn Tenzier into some kind of research center. The records are a way of making sure there’s a trace left in the present, and we deposit a copy at the National Library in Ottawa, as well as the Quebec National Library. All of a sudden, these artists and their music exist, making it possible for people like me who are doing research to have access much more quickly to a growing body of works. Ultimately, I would like to make all the documents that have been digitized but not released available to people. Last summer, I partnered with the Videographe, which is a video co-op set up in 1971 through the NFB. 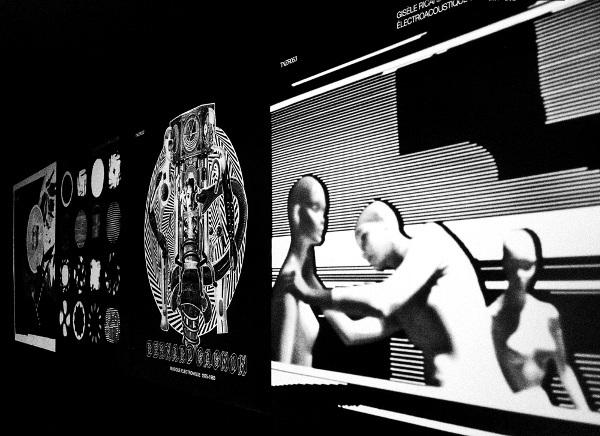 In 1973 it became a non-profit organization, and they have tons of experimental videos that combine experimental music. Tenzier prepared a short program titled Québec électronique for the 2013 edition of the Suoni Per Il Popolo. It featured people like Richard Martin, who went to the U.S. and studied with Alvin Lucier. I’m working with the Videographe to disseminate those videos online, and have interviewed Richard Martin and added that to the archive. All of this falls under Tenzier’s mandate. 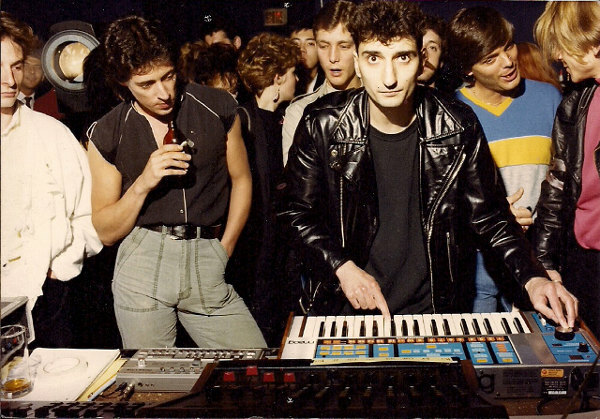 Bernard Gagnon live at Le Beat, 1983. So far, your releases have come out in chronological order, from Etienne O’Leary in the 1960s to Gisele Ricard in the 1980s. Will you continue this pattern, or start bouncing around in time? I didn’t realize I was doing that [laughs]. That was a total accident and I didn’t plan it that way, so yes, I am going to start bouncing around. Tenzier will never go past the 1980s, as it became much easier from the ’80s onward for artists to release their own tapes or records. In Quebec, you had Ambiances Magnétiques, which did a fantastic job of documenting whole spectrums of experimental or weird music, but before that there was really nothing. The NFB put out a soundtrack and that was great, but it was a one-off project. 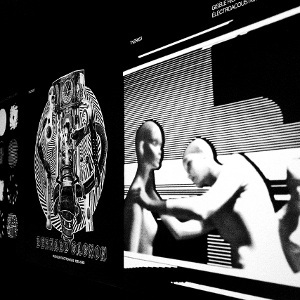 Otherwise, McGill had a record label putting out material recorded in the university’s electronic music studio, and Radio Canada International released a few records of electroacoustic compositions. Aside from that, there were no small labels, so there is a lot of music made in the ’60 and ’70s recorded on 1/4” tapes that are just sitting in boxes. I think I’ll be busy enough focusing on those three decades. I also wanted to ask about the numbering of your releases. On Discogs, your trio CD with Dominic Vanchesteing and Alexandre St-Onge is listed as TNZR001, and then it jumps straight to TNZR050. Are there 49 lost releases floating in the ether? Nothing is missing. Initially, when I started Tenzier it was towards the end of Pas Chic Chic, and I wanted to set up an infrastructure for musicians to collaborate. This included myself, and I wanted to reach out to musicians that I had a tremendous respect for, but hadn’t had the chance to work with. The mini-CD series, numbers one to 49, was meant to serve that purpose. At the same time, I started working on the Etienne O’Leary LP and decided that #50 onward would be the historical releases from Tenzier. Within four or five months of that time, I made the decision to go back to school to continue graduate work. I subsequently quit playing music to focus on my research. It became apparent to me that Tenzier could become a vehicle to reconcile my academic interests with my background as a musician. This allowed me to stay in touch with musicians and visual artists, and contribute something concrete. After Tenzier 001, I stopped playing music and that series ended there. What plans do you have moving forward? Can you give us a sneak peek into any upcoming releases or activities? I can’t really talk about releases yet because I haven’t had a chance to sit down with the interested parties. I do plan on releasing another LP in the fall though, and am currently digitizing a bunch of material that I’m super excited about. Each year I try to organize an event or kind of retrospective as well, and this fall I’m working with Jean-Pierre Boyer, who made experimental videos in the early ’70s. He invented his own video-synthesizer, which he named the Boyétizeur, so we’re going to show his work and have a live performance. I was really excited to see Gisèle Ricard’s collaboration with Bernard Bonnier on the new Tenzier LP. Casse-Tête Musique Concrète is so wild. Do you know about any more music that he recorded? That’s an amazing record. There’s also the Capac 7”, but nothing else in terms of official releases. I would assume he has other material recorded, as Bernard Bonnier and Gisèle Ricard owned a studio together. Bernard passed away, but his son probably has reels stored somewhere in a basement. That would be worth looking into at some point. What’s the weirdest music from Quebec you’ve ever heard? To me, weird music is not a pejorative term. It’s brilliant music because it forces you to listen differently and takes you to new places. Quebec had so much weird music, especially in the 1980s. A lot of people were releasing cassettes back then (like nowadays, I guess) and you could find amazing stuff, demos and other strange sound objects, at L’Oblique. The first name that comes to mind is Les Biberons Bâtis, which was the project of Bruno Tanguay, also known as Satan Bélanger. Before Les Biberons Bâtis, Bruno was in a group called Turbine Depress, which is also truly singular music. I think you will enjoy Les Biberons Bâtis. L’étiquette montréalaise Tenzier exprime pleinement ses objectifs: ‘’Préserver, célébrer et propager les enregistrements d’archives des artistes avant-gardistes du Québec.’’ Des phonétiques saccadées d’Étienne O’Leary aux rêves électro-acoustiques fièvreux de Gisèle Ricard, ces anormales offrandes des années 60, 70 et 80 pourvoient un aperçu fascinant à travers ces parcours méconnus. Les quatre LPs de Tenzier (jusqu’à maintenant) ne sont pas seulement des ré-éditions mais plutôt des perles sonores dénichées dans des collections personnelles et mises à notre disposition pour la première fois. Weird Canada a discuté avec Eric Fillion, l’archiviste en chef du passé avant-gardiste du Québec. Jesse Locke: Qu’est-ce qui t’as inspiré à démarrer ce projet avec un focus régional si spécifique? Éric Fillion: Je viens de Montréal et j’ai un attachement clair pour Québec. Je joue de la musique depuis plusieurs années et j’avais le sentiment qu’une histoire avait besoin d’être découverte. Tenzier est une manière de créer des connections. Pour chacune des sorties, j’essaie de joindre un musicien plus âgé avec un artiste en art visuel. Par exemple, Sabrina Ratté a créé la couverture pour le LP de Gisèle Ricard et Felix Morel a fait le collage pour Bernard Gagnon. Deux superbes harmonies! Le focus régional me permet aussi de rencontrer les musiciens, pas seulement par courriel ou par téléphone. Gisèle Ricard habite la ville de Québec alors ce n’est qu’une courte promenade en voiture pour la rencontrer. Bernard Gagnon et les anciens membres du Quatuor De Jazz Libre Du Québec sont à Montréal. On peut toujours aller dîner et on essaie de se voir souvent. Le contact humain est un aspect important du projet et ce n’est pas quelque chose auquel je pensais au début, que j’anticipais. L’opportunité de travailler directement avec les artistes n’est pas quelque chose que je changerais. J’effectue aussi des recherches doctorales en histoire et mes intérêts se concentrent sur la production culturelle québécoise. La musique que je recherche pour Tenzier est un peu intense comparé à ce que j’étudie à l’université mais il y a tout de même une connection. Ultimement, je pense que ce serait génial si d’autres gens travaillaient sur des projets similaires. Si 10 ou 15 personnes au Canada voulaient démarrer des étiquettes ou des projets avec un focus sur leur ville ou leur région, nous aurions un catalogue beaucoup plus complet de la musique avant-gardiste et indépendante canadienne. Peut-être que je rêvasse, mais je pense qu’il y a une possibilité de le faire ailleurs. Montréal et Québec possèdent une scène musicale dynamique depuis des décennies, mais je sais que plusieurs autres endroits aussi. À part la provenance des artistes, quels sont les autres critères selon lesquels tu choisis la musique à publier? Les sorties de Tenzier ne sont pas des ré-éditions, ce sont des enregistrements d’archives qui n’ont jamais été disponibles. Je m’intéresse aux voix marginales, souvent des artistes qui ne concordent pas vraiment avec les dominantes narratives de la production culturelle Québécoise de cette période (1960-1970-1980). Souvent, ce sont des gens qui font de la musique expérimentale et qui n’ont pas réussi à enseigner à l’université ou qui, pour une raison ou une autre, ont refusé de s’associer avec quelconque institutions culturelles de la province. Leur contribution a pu passer inaperçue ou ne pas avoir été documentée pour les générations futures. Un bon exemple est Bernard Gagnon, qui est actif depuis la fin des années 60. Il s’est impliqué dans chacune des importantes scènes expérimentales et underground du Québec et a contribué à plusieurs des long-jeux ‘’Musique Actuelle’’ mais n’a jamais sorti un album sous son propre nom. Parcourir ses archives était génial, parce qu’il a une tonne de bobines. Gisèle Ricard a aussi été très présente dans la ville de Québec mais n’a jamais sorti autre chose que Capac 7”. Publier des disques n’est qu’une partie du mandat de Tenzier. J’essaie de sortir un LP chaque année, habituellement en automne, mais parallèlement je collectionne aussi du matériel – des enregistrements, du visuel, des correspondences – autant que possible et je le digitalise pour de futures publications ou pour la recherche. Un jour, j’aimerais que Tenzier devienne un genre de centre de recherche. Les LPs sont une façon de s’assurer qu’il y ait une trace dans le présent et nous déposons une copie à la Bibliothèque Nationale d’Ottawa et à celle du Québec. Soudainement, ces artistes et leur musique existent, ce qui permet aux gens comme moi qui font de la recherche, d’avoir accès plus facilement à ces informations. Ultimement, j’aimerais que tous les documents qui ont été digitalisés soient accessibles à tous. L’été dernier, j’ai créé un partenariat avec le Vidéographe, une coopérative de production vidéo démarrée en 1971 à travers l’ONF. En 1973, c’est devenu un organisme à but non-lucratif et ils ont une tonne de vidéos expérimentaux qui combinent la musique expérimentale. Tenzier a préparé un court programme intitulé Québec électronique pour l’édition 2013 de Suoni Per II Popolo. Le programme présentait des gens comme Richard Martin, qui a passé du temps au États-Unis et a étudié avec Alvin Lucier. Je travaille avec le Videographe afin de distribuer ces vidéos sur le web et j’ai interviewé Richard Martin et ajouté le tout aux archives. Tout cela fait partie du mandat de Tenzier. Bernard Gagnon en concert à Le Beat, 1983. Jusqu’à maintenant, vos parutions sont sorties en ordre chronologique, d’Étienne O’Leary dans les années 60 à Gisèle Ricard dans les années 80. Vas-tu continuer avec ce modèle ou bondir d’années en années? Je n’ai pas remarqué que je faisais ça [rires]. C’est un accident, je n’ai pas du tout planifié cela alors oui, je vais commencer à bondir d’années en années. Tenzier ne va jamais aller plus loin que les années 80, parce que c’est devenu beaucoup plus facile, à partir des années 80, de publier ses propres cassettes et albums. Au Québec, il y avait Ambiances Magnétiques, qui faisait un travail fantastique à documenter un large spectrum de musique bizarre et expérimentale, mais avant eux, rien. L’ONF a sortie une bande-sonore et c’était génial mais ce n’était qu’un truc unique. Par ailleurs, McGill avait sa propre étiquette qui publiait du matérial enregistré dans les studios de l’université et Radio-Canada International a publié quelques compositions électro-acoustiques. À part de cela, il n’y avait pas de petites maisons de disques, alors il y a beaucoup de musique enregistrée dans les années 60 et 70, sur des cassettes 1/4’’, qui ne font que dormir dans des boîtes. Je pense que je serai assez occupé en focusant sur ces trois décennies-là. Je voulais aussi te parler de la numérotation de tes parutions. Sur Discogs, ton triple CD avec Dominic Vanchesteing et Alexandre St-Onge est listé TNZR001 et ensuite ça passe à TNZR050. Est-ce qu’il y a 40 copies flottant dans l’éther? Rien n’est perdu. Initialement, j’ai commencé Tenzier à la fin de Pas Chic Chic, et je voulais mettre en place une infrastructure qui favorise la collaboration entre musiciens. Cela m’incluait et je voulais faire appel à des musiciens pour lesquels j’ai un immense respect mais avec lesquels je n’avais pas eu la chance de travailler. La mini-série CD, numéroté 1 à 49, a servi à cela. Au même moment, je commencais à travailler sur le LP d’Étienne O’Leary et j’ai décidé que tout ce qui sortirait à partir du numéro 50 serait les sorties historiques de Tenzier. Quatre ou cinq mois après, j’ai pris la décision de retourner à l’école pour poursuivre mes études doctorales. Subséquemment, j’ai arrêté de jouer de la musique pour me concentrer sur mes recherches. C’est devenu évident que Tenzier serait un véhicule parfait pour réconcilier mes intêrêts académiques et mon passé de musicien. Ça m’a permis de garder le contact avec des musiciens et des artistes en art visuel et d’y contribuer quelque chose de concret. Après Tenzier 001, j’ai arrêté de jouer de la musique et la série s’est arrêté là. Quels sont tes plans futurs? Peux-tu nous donner un petit aperçu de tes prochaines parutions et activités? Je ne peux pas vraiment discuter des parutions puisque je ne me suis pas encore assis pour en discuter avec les parties intéressées. J’ai l’intention de publier un LP cet automne et je suis présentement en train de digitaliser beaucoup de matériel super intéressant. Chaque année, j’essaie d’organiser un évènement ou une sorte de rétrospective et cet automne, je travaille avec Jean-Pierre Boyer, qui produisait de la vidéo expérimentale au début des années 70. Il a inventé son propre synthétiseur vidéo, qu’il a nommé le Boyétizeur, alors nous allons présenter son travail et des performances live. J’étais super content de voir une collaboration entre Gisèle Ricard et Bernard Bonnier sur le nouveau LP de Tenzier. Casse-Tête Musique Concrète est si déjanté. Connais-tu d’autre musique qu’il a enregistré? C’est un album génial. Il y a aussi le Capac 7”, mais aucune autres parutions officielles. Je présume qu’il a d’autres matériel enregistré parce que Bernard Bonnier et Gisèle Ricard possèdaient un studio ensemble. Bernard est décédé, mais son fils a probablement des bobines quelque-part dans un sous-sol. Ça vaudrait la peine d’y jeter un coup d’oeil. Quelle est la musique du Québec la plus bizarre que tu aies écouté? Selon moi, le terme ‘musique bizarre’ n’est pas péjoratif. C’est de la musique intelligente parce qu’elle force l’auditeur à écouter différemment et le transporte ailleurs. Le Québec a tellement produit de musique bizarre, en particulier dans les années 80. Beaucoup de gens sortaient des cassettes (comme maintenant, je pense) et on peut trouver des trucs vraiment formidables, des démos et d’autres échantillions sonores étranges, à l’Oblique. Le premier nom qui me vient en tête est Les Biberons Bâtis qui était le projet de Bruno Tanguay, aussi connu sous le nom Satan Bélanger. Avant Les Biberons Bâtis, Bruno était dans un groupe appelé Turbine Depress, de la musique aussi très singulière. Je pense que tu aimerais beaucoup Les Biberons Bâtis. file under: Imprint, New Canadiana, quebec.